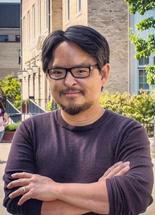 Anthony Ong is professor of human development at Cornell University, where he directs the Human Health Labs. He received his Ph.D. in developmental psychology from the University of Southern California and completed his postdoctoral training in adult development and aging at the University of Notre Dame. His research and teaching have been recognized by the American Psychological Association (APA) and the Gerontological Society of America, and he is the recipient of the APA Springer Early Career Achievement Award in Research on Adult Development and Aging, the Margret M. and Paul B. Baltes Early Career Award in Social and Behavioral Gerontology, and the Merrill Presidential Scholar Award for Teaching.